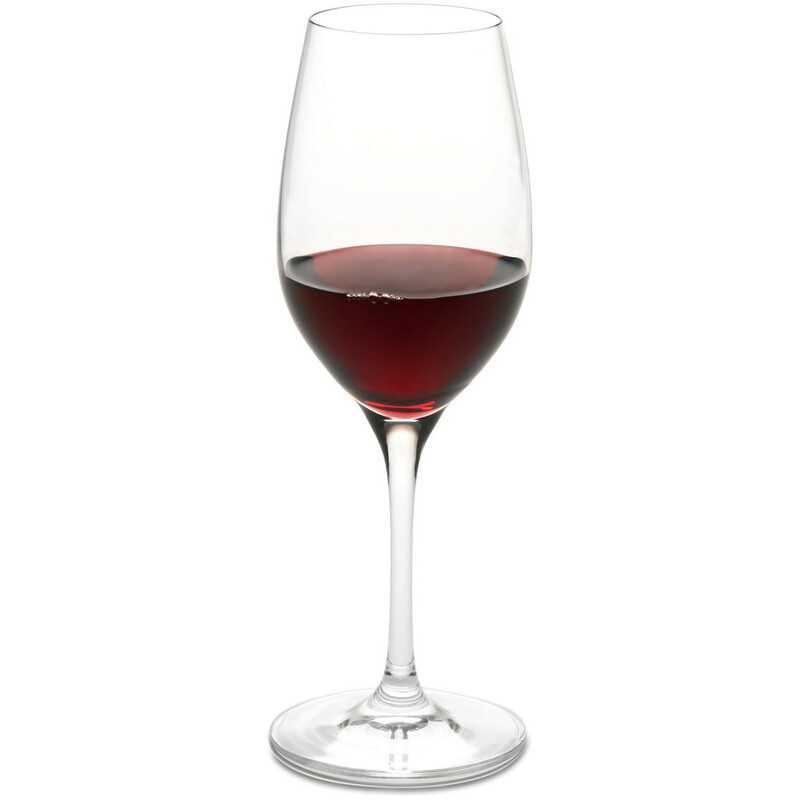 Sip your favorite wine in classic elegance and style with this set of four Chianti Classico/Riesling glasses from the Vintner's Choice line by Ravenscroft. Constructed from beautiful lead-free crystal, these glasses feature pulled stems with a seamless bowl to base construction and an elegant sheer rim. The result of highly refined production processes along with Ravenscroft's in-depth understanding of wine appreciation, the Vintner's Choice Collection is the perfect choice for wine enthusiasts. Featuring a varietal specific design, the tight bowl and tall chimney concentrates the delicate perfume of lower tannin and lower alcohol wine, each glass is designed to complement medium-bodied, fruit driven, high acid wines. This set makes a perfect gift for newlyweds, wine lovers, or yourself.